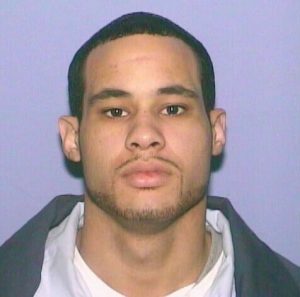 Daniel O. El, 33, of Peoria Heights, died Feb. 1 while exchanging fire with three Peoria police officers. A Peoria Heights man was killed and a city police officer was shot following an early morning traffic stop Feb. 1. Daniel O. El, 33, of 1008 E. Paris Ave. was transported by ambulance to a local hospital, where he died. El was shot 16 times, three of which were grazes, according to Peoria County Coroner Jamie Harwood. The remaining shots struck El in the chest, abdomen, pelvis and extremities, said Harwood in a preliminary autopsy report. At 2:27 a.m., two officers in separate squad cars stopped El near Western and Lincoln avenues for a stop sign violation, which transpired into a license plate registration violation. Officers were returning to El’s car after detaining a passenger on unrelated charges when El fled. El lost control of his car at Garden and Warren streets, then fled several blocks by foot from to the 2700 block of Jefferson Avenue, where El and three police officers exchanged gunfire, Peoria Police Chief Jerry Mitchell said. One officer sustained an abdominal gunshot wound, and was later listed in stable condition. On Sept. 20, 2017, police shot and killed Eddie Russell, Jr., making this the second officer involved shooting in less than six months. The six officers involved in Russell’s death, which followed a standoff, were acquitted Jan. 29, in part, due to lack of video evidence. Police were not wearing body cameras in either shooting, and Mitchell said evidence from dash cameras in El’s shooting will be handed over to the Illinois State Police. In accordance with the Police and Community Relations Act, the matter is being investigated by state police, and the three officers involved have been placed on administrative leave pending the outcome of that investigation. The officer’s names have not been released. According to Peoria County police records, El was convicted of armed robbery in 2003, then remanded to Sheridan Correctional Center, until he was paroled in January 2009. Five months later, El faced several charges, including Armed Habitual Criminal and Felony Possession of a Weapon. All charges were dismissed.